we put new home buyers on your doorstep. At Century Marketing, we pride ourselves in always going the extra mile for our customers. After all, our success is driven by our strong commitment to customer satisfaction. We invite you to learn more about Your New Home Magazine by exploring our site. Century Marketing is committed to providing high quality real estate advertising designed to help you generate new customers for your company. We look forward to serving you and wish you continued success in your business endeavors! Tell me more about Century Marketing! Very good magazine for new homeowners. Your New Home Magazine is great for all of our clients. It has great articles and is a great marketing tool for the advertisers. 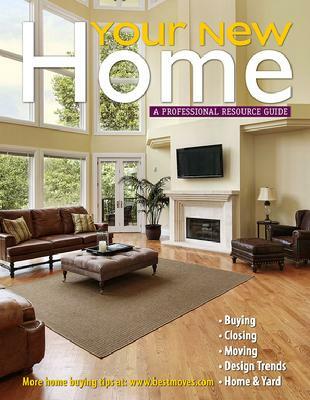 The best book / magazine when it comes to buying or selling your home. Full of great info! We use these books for all of our buyer packets! as well as a schedule of the spots that ran for your clients. "My clients love receiving your magazine!" could use to improve the value and livability of their new home." Click here to listen to how your company name is mentioned on the radio. Click here to listen to the National Public Radio version. "We actually hand out skads of Your New Home Magazine. My clients love them. You have great info and great advertisers in your magazine. I love them and will continue to give them to anybody and everybody I can. I think they are a wonderful resource document. Thank you very much for sending them to us."